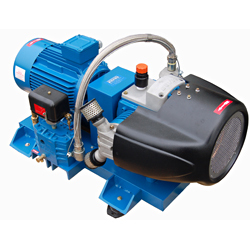 We supply Ervor 30/40 bar pressure marine starting air compressors. Short piston stroke and a linear speed below 1.8 m/sec. 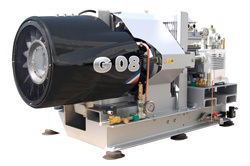 (compressors from the competition usually have piston linear speed up to 3 m/sec). Highly efficient cooling system : specially designed turbine rotating at 1,450 RPM cooling the compressor cylinders, valve heads and cooler directly. ERVOR’s unique design means that the G04 % G05 compressors are extra compact and require little space. 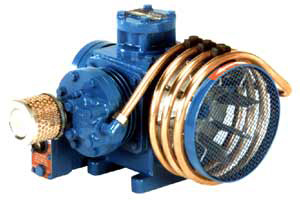 Highly efficient cooling system: specially designed turbine rotating at 1,450 RPM cooling the compressor cylinders, valve heads and cooler directly. 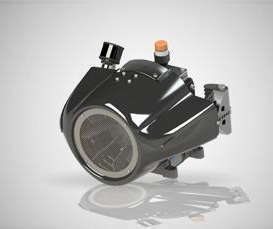 ERVOR’s unique design means that the G06 compressor is extra compact and requires little space. 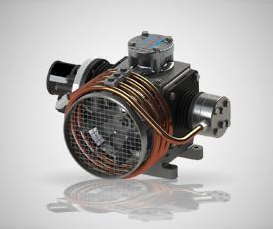 The G08 is built around the unique ERVOR flat-twin and monobloc piston architecture making it the most compact compressor on the market. One steel connecting rod with double bearings at each end and a single piston with a linear speed below 1.8 m/sec. (compressors from the competition usually have piston linear speed above 3 m/sec) call for increased piston rings and cylinder walls service life. 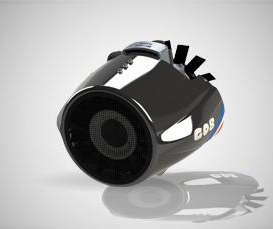 Two specially designed turbine rotating at 1,450 RPM cooling the inter and final coolers built with the unique Skyve-Fin® technology.